If you’re looking to find a powerful phone that doesn’t hit your wallet too hard, then it’s a safe bet you’re looking to get yourself a midrange phone. The Moto Z3 Play is Motorola‘s latest entrant into that market, and the industry veteran has revealed a phone that’s razor-thin, powerful, and has access to Motorola’s full complement of Moto Mods. But it’s not the only phone in the market vying for your attention. Honor has a solid record with midrange phones, and the Honor View 10 is another great example of a phone that balances power, looks, and costs. But which is better for you? We took a look to find out. The Moto Z3 Play’s Snapdragon 636 is a good midrange processor, and we didn’t have any issues with performance during our initial tests on the device. It should hold up well for most people, with the exception of power users. However, it’s not going to be the equal of the View 10’s flagship-level Kirin 970, which will deliver tons more power and similarly fantastic performance. While both phones are fast and smooth, the Honor View 10 is simply more powerful. It’s a tougher call to make in terms of battery. The Z3 Play comes with a 3,000mAh battery, but the battery mod adds another 2,200mAh, so it’s capable of two days’ worth of battery life, much like the Z2 Play. The View 10 is equipped with a 3,750mAh monster, and it’s possible to get it to last for two days — though the Z3 Play will have an easier time reaching that goal. There’s similarly fast charging on both devices, with Motorola promising a day’s worth of power in half an hour, and Honor promising a 50 percent charge in 30 minutes — roughly the same. It’s a tough call to make here, and though the Z3 Play edges out the Honor View 10 in terms of battery life, the View 10’s powerful processor takes the day. Despite all its power, the Honor View 10 is something of a “plain Jane”. The metal body has a matte finish, and something of a minimalist design, but it’s lacking in any real character, especially when compared to other Honor phones. On the other hand, the Moto Z3 Play has a real Motorola-style design, and between the two, we think most people will find the Z3 Play to be more attractive. There are significant camera bumps on both of these phones, and the Z3 Play’s is positioned so that the phone rocks when laid on its back. Not great. The View 10 is the only of these two phones to come with a headphone jack, and though the Z3 Play comes with an adapter, the lack of the port may be worth keeping in mind if you like your wired headphones. You’ll want a case for both these phones, due to the slippery nature of the View 10 and the fragile glass on the Z3 Play. There’s no real water-resistance on these phones either, though the Z3 Play does boast a “water-resistant coating”. For two phones with highly differing designs, these two have a lot in common — and though the Z3 Play is the better-looking of the two, we’re partial to the View 10’s minimalist design and headphone jack. This is a tie. Both phones are running 2,160 x 1,080-pixel resolutions on 6-inch displays with 18:9 aspect ratios, and it’s just the actual screen tech that differentiates the two. The View 10’s display is an IPS LCD, and it’s bright and colorful enough — but it’s just not capable of beating the Super AMOLED display on the Z3 Play. While the View 10 has a good-looking screen, it just can’t match the deep blacks and rich colors that the Z3 Play’s AMOLED screen is capable of. This one’s clear. The Moto Z3 Play is packing a 12-megapixel and 5-megapixel lens around the back, and an 8-megapixel selfie lens on the front. The camera has always been something of a weak point in Motorola’s past midtier offerings, but the addition of an extra lens means that the Z3 Play is offering a pretty capable main camera. We haven’t had a chance to test it fully, but it has performed well in our initial tests, and we’re looking forward to seeing how it holds up in other circumstances. We’re not sure it’ll be able to beat the Honor View 1,0 though. You’ll find 16-megapixel and 20-megapixel lenses on the back of the View 10, accompanied by a 13-megapixel selfie shooter around the front. Simply put, the View 10 takes great photos. The Kirin 970 helps out here too, and there’s a specific part of the processor dedicated to A.I. assistance that selects options based on your subject. We’re still not sure how big of an impact it has, but it doesn’t change the fact the View 10 is an excellent all-around performer. The video capabilities of each phone are similar, and you’ll be able to capture footage in 4K regardless of the phone you pick. The Moto Z3 Play has slow-motion capabilities too, but we’re not letting that weigh too heavily on the outcome. The Honor View 10’s camera is likely to be the stronger performer. You’ll find Android Oreo on both of these devices, but you might not realize it. The Z3 Play runs Android 8.1 Oreo, and it’s mostly stock Android, with a few Motorola additions. In terms of updates, Motorola has promised that the Z3 Play will receive at least two major Android updates — so that’s Android P and Android Q. You may have to wait for it, though — the Moto G5S Plus is still waiting for its upgrade to Android 8.0 Oreo. The Honor View 10 is different. It’s still running Android 8.0 Oreo, but with Huawei’s Emotion UI (EMUI) laid over the top. EMUI has improved a lot, and the look isn’t as divisive as it once was — but it still divides opinion. If you’re a fan of stock Android, EMUI might come as something of a shock. In terms of updates, Honor hasn’t dedicated itself to any number of Android updates, and it’s not much faster than Motorola when it comes to update schedules — but it has succeeded in updating the last generation of phones. There’s a lot to differentiate the two phones here, but it’s tough to pick a winner. While the Z3 Play wins points for stock Android, Motorola’s update speed is too slow compared to Honor. This is another tie. Despite running stock Android, Motorola has crammed some great special features into the Moto Z3 Play. 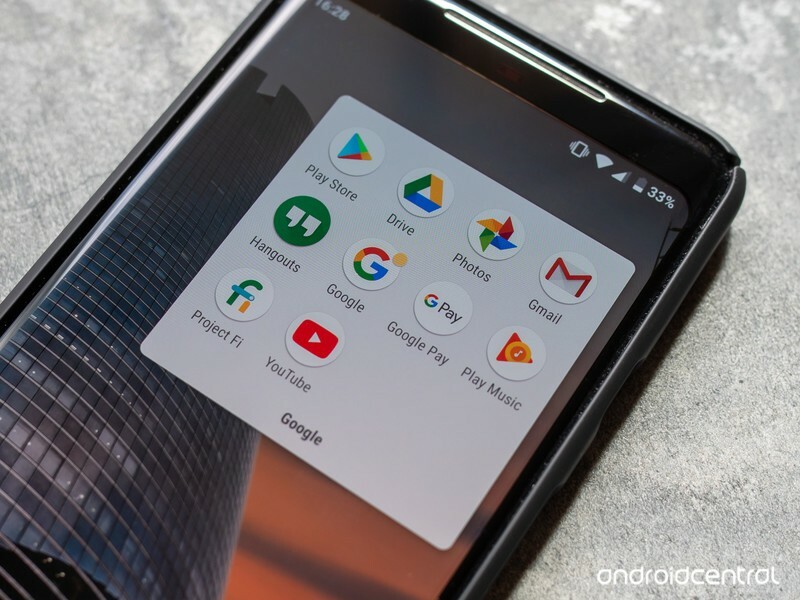 First is the new navigation bar, which uses directional swipes to perform actions, similar to the planned navigation method in Android P. There’s also the usual suite of Motorola apps, including Moto Actions to access certain apps and Moto Voice to trigger device-specific actions, and the integration of Google Assistant and Google Lens into the camera app. Lest we forget — the Z3 Play also has support for the entire range of Moto Mods, which can boost the speaker, revamp the camera, or just boost battery life. The View 10 has similar Google Assistant functionality built in, but the star for Honor’s phone is the Kirin 970’s NPU processing unit, which handles on-device A.I. it’s not something you’ll be able to point to much though, as it generally speeds up tasks in the background, processing images faster, running Microsoft’s Translator app, and handling the A.I. functions in the camera app. The Moto Z3 Play runs away with this, thanks to the strength of its Moto Mod offerings. The Moto Z3 Play is making its way to U.S. Cellular and Sprint in the summer, and it’ll cost $500 — though that price also includes a battery mod. The Honor View 10 is currently available for $500 too, and it will only work with T-Mobile and AT&T, thanks to a lack of CDMA network support. It’s a tough battle, and both phones have a lot going for them. If you’re really into the idea of the Moto Mods, then the Moto Z3 Play is a great choice for you. However, if you value a solid camera and high performance, then the Honor View 10 wins every time. It’s not perfect — the display isn’t as nice as the Z3 Play’s and the design is lacking — but it’s a fantastic phone that will serve you well. The moment your plane lands, your phone just became a whole lot less useful. It took me a few moments to realize what was happening. Landing in Shanghai after a 12-hour Air Canada flight, you could forgive me for being a little groggy when I walked into the terminal, hopped on the free Wi-Fi and said “hmm, my connection isn’t working.” Even though I could load androidcentral.com, nothing else on my phone worked. Gmail wouldn’t sync. Hangouts messages to family members saying I had landed were stuck sending. Google Now wouldn’t refresh to show my current location and weather. The Play Store wouldn’t let me update apps. It’s telling that the first half-dozen apps I tried to use after landing were all from Google. The connection speed was fine — it just so happened that the first half-dozen apps I wanted to check immediately upon entering the terminal were Google apps, and they don’t work at all in China. After pulling my brain back together from the long flight, I was obviously aware of the situation. Google services, of course, aren’t available in China — alongside countless other popular services including Facebook, Twitter, Dropbox and WhatsApp. There are plenty of ways to get around the so-called “Great Firewall” and start using the Google services, but that isn’t what this was about. It was more the immediate surprise of realizing just how reliant I am on Google services — and it took mere minutes of being on a Chinese internet connection to realize it. The issue is particularly pronounced when you visit the country using a Google Pixel phone. My only browser is Google Chrome, only mail app is Gmail, only photo app is Photos … Google Now is built into the home screen, and Google Assistant is waiting behind the home button. Except, none of it works. Even using voice dictation in Gboard, as I so casually do for dictating several sentences at a time into messaging apps, simply times out and fails because it relies on Google’s cloud. When you use a Google-branded phone, it’s easy to forget how reliant you are on its services. When you have a Google-branded phone and make ample use of a dozen different Google apps and services every single day, you sort of forget just how simple and seamless it all is — that is until none of it works, and you’re left scrambling to figure out what alternatives you’d have to use. And because I’ve lived in the Google ecosystem for so long, now embedded so deeply, I don’t actually have an idea of what the best alternatives are. If you look at it a level deeper, installing a new app doesn’t even fix this problem of an over-reliance on Google — installing another email app still won’t give me access to my Gmail account; another calendar app won’t sync my Google Calendar; there’s no third-party app to handle my Google Docs files. Ironically it’s Google’s own mobile carrier, Project Fi, that provided me with the only way to reliably access all of my Google apps and services with its roaming LTE data (a common strategy for travelers). This isn’t going to make you switch from Google — but you should keep your eyes open to alternatives. But even on roaming data, where the Google services are ostensibly not blocked, they’re more of a hassle to use. Services that are designed to lean heavily on Wi-Fi, like Google Photos, YouTube, Google Play Music and Google Drive, become far more burdensome to manage when you’re using them purely over mobile data. What typically feels like a smooth and consistent experience, having data backed up or cached in the background when you’re on Wi-Fi, all becomes far less magical when it’s purely done over LTE. Things don’t just “happen” without your input anymore — sync intervals increase, data isn’t backed up or synced automatically, and apps that require live data streams slow down. Is being this reliant on Google in itself a bad thing? Unless you plan on visiting China on a regular basis, probably not. Google makes fantastic apps that work extremely well and, for the most part, are completely free. And I’ll keep using them because of that. Returning from my trip today I’m not particularly likely to kick Google Photos, YouTube or Gmail to the curb just because I had a hassle using them in China for the better part of a week. But what this experience does make me consider is checking out the alternative apps and services the next time one comes around, or Google makes a shift of strategy on one of its core apps. Using a bunch of Google apps on a daily basis is fine, but keeping your eyes closed to the alternatives other parts of the world have to offer isn’t a good idea — it just took a few days in China to remind me of that fact. 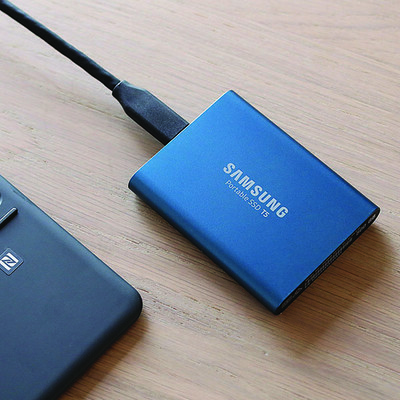 The Samsung T5 500GB portable solid state drive is down to $129.99 on Amazon for the first time. This price is an all new low for the T5 and beats the previous low by $20. This deal is even better than last year’s holiday shopping season. The 250GB version of this SSD also dropped in price recently. It’s down to $99.99 from $120. The Samsung T5 has gotten quite a few great critical reviews in a short amount of time, including an Editor’s Choice and 4 stars from PC Mag, 4.5 stars from Tech Radar, and a review from Forbes that said it “offers a great sweet spot in terms of size, performance and price.” Amazon users give it 4.7 stars based on 539 reviews. Samsung backs it up with a three-year warranty, as well. If you’re looking to Venmo your friend for that pizza you ate most of, or need to send your monthly rent payment via the PayPal-owned peer-to-peer payments service, you’ll now have to do it via mobile. Venmo is phasing out support for its web service, which likely won’t affect all that many users. But if you are one of the few folks who use Venmo by going to Venmo.com, begin making alternate arrangements, like downloading the Android or iOS app. Today, you can log onto the Venmo website in order to see your transaction history, as well as charge friends or make payments. You can also send payment reminders, interact with transactions (via likes and comments), add friends ,edit your profile, and other such actions. But moving forward, you’ll only be able to charge friends or pay them via the Venmo app. This will make Venmo a bit more distinct from parent company PayPal, who relies more on a web interface, and arguably less on a mobile app. It’s not an altogether surprising move for Venmo either — after all, the service started as a mobile-first platform, and was geared toward mobile-savvy millennials. In many ways, Venmo’s decision is something of a homecoming. 3D printing is a manufacturing process that creates a three dimensional object by incrementally adding material until the object is complete (this contrasts with subtractive manufacturing techniques such as carving or milling, in which an object is created by selectively removing parts from a piece of raw material). A 3D printer is simply a machine that can take a digital 3D model and turn it into a tangible 3D object via additive manufacturing. While these printers come in many forms, they all have three basic parts. Are you feeling nostalgic for the late 2000s or early 2010s? Well, if you’re in South Korea you can indulge yourself with the hottest smartphone of 2009. ET News reports that South Korean mobile carrier SK Telink has announced that it will once again sale the iPhone 3GS. Nostalgia aside, the major selling point of a decade-old smartphone is the price. Priced at 44,000 Won, which is roughly $40 U.S. dollars, the 3GS is the cheapest iPhone you can buy from any carrier. Of course, you shouldn’t expect much in the way of performance or app support; the 3GS only supports iOS 6. For those keeping track, we’re currently on iOS 11 with iOS 12 slated to go live sometime this fall. This means that you won’t get access to any of the latest features nor will the phone run every app found in the App Store. On the other hand, its low price may make it worth something to collectors as a novelty item. Beyond the quaint factor, the phone can still work well as a barebones device and is capable of making calls, sending and receiving texts, and playing music. It can even browse the web, though it obviously won’t support 4G LTE service. So don’t get your hopes up about streaming your favorite shows on this mobile relic. It’s also worth mentioning that these are not used 3GS phones, but unopened models. The carrier found a store of the phones in a warehouse and decided to put them back on the market. Since the phones have sat in a warehouse for nearly a decade, Telink will be testing the phones before putting them back on the market to ensure that customers don’t spend 44,000 won on an Apple-themed paperweight. If you’re still interested, you’ll probably want to act fast, since supplies are likely going to be limited. With that in mind, let’s go over how to record your computer screen on your own terms, whether you want to do so using a free program you already own or an app that’s chock-full of powerful tools aimed at professional productions. Didn’t know you could record your screen with PowerPoint, the presentation software included with Microsoft Office? It’s true — the latest versions of PowerPoint include that feature. If you don’t want to spend a ton of time recording but still want a video for your YouTube channel, or any other social media platform, then YouTube can help out. Step 1: Sign into your account as you would normally. Step 2: Go to “Upload,” click “Get Started” under Live Streaming. Step 4: Fill out the required information, and click “Go Live Now.” A Google Hangouts page will open — keep in mind that you are now recording audio and video. Step 5: On the left, you should see a button that says “Screenshare.” Select it, and choose a desktop window for recording. Step 6: Click “Start Screenshare,” followed by “Start Broadcast.” You should now be recording! Step 7: Select “Stop Broadcast” when finished, and save your Event as you wish. OBS Studio (free): One of the more advanced freely available screen-recording apps out there, OBS Studio is entirely open source and allows unlimited full-screen recording without watermarks. It has built in streaming functions for those who want to have a live audience while recording and has great hardware support, so 60 FPS recording is perfectly possible. It’s more fully featured than some freemium apps and can take a little longer to set up how you like it because of that, but it’s arguably the best of the free screen-recording apps out there today. Step 3: To decide whether mouse clicks and sounds appear in your recording or not, click the small, white arrow and select the appropriate options from the drop-down menu. Step 7: To save your recording, click “File,” then “Save,” and choose an appropriate save location and name for the recording. Introduced with the new developer beta of MacOS Mojave (available for all users later this year) you can now record video of your screen as well as take screenshots with MacOS’ own screen capture tool. If you’re running the latest version of MacOS, here’s how to do it. Step 1: Press “Command” + “Shift” + “5” to bring up the screenshot toolbar. No details were released, but insiders tell The Hollywood Reporter that the mega-deal encompasses everything from movies to TV to apps to books. Notably, the partnership does not include podcasts — Winfrey has her own platform for the podcast version of her Emmy-winning Super Soul Saturday series, which recently hit #1 on Apple Podcasts. The 64-year-old media mogul will remain the chief executive of OWN, the channel that she launched in 2011 in partnership with Discovery. Under her contract with OWN, which was recently renewed through 2025, Winfrey can appear on camera on other outlets on a limited basis. As The Guardian notes, this recent partnership is part of a $1 billion push by Apple as it scrambles to gain a foothold in the streaming original programming market. Other projects in the works include a reboot of Spielberg’s sci-fi anthology series Amazing Stories, an ambitious series based on Isaac Asimov’s Foundation trilogy, and a contemporary drama set in the world of morning television starring Reese Witherspoon and Jennifer Aniston. Winfrey is one of the richest people in the world and her Harpo Films will own any content created under the Apple deal. She was reportedly pursued by other tech companies, likely including Netflix and Amazon. The announcement is a big coup for new Apple video executives Zack Van Amburg and Jamie Erlicht. A recent report in Bloomberg suggests that Apple may be taking a page from its rival Amazon’s playbook, with a subscription-based model that will offer video services directly through Apple TV rather than individual app purchases. Although Apple is one of the biggest sellers of digital movies and television shows through iTunes, it’s lagging far behind rivals such as YouTube and Netflix in the on-demand streaming arena. One thing’s for sure — a heavyweight battle among streaming content providers is just getting started, with Netflix signing a multi-year deal with Barack and Michelle Obama for documentary and film production, and Amazon dropping more than $1 billion on a Lord of the Rings series.